We Provide an affordable removal service in Alton and we are a local company, please look no further. From a small room move, through to a five bedroom House. We will turn up on time as agreed and there will be no unexpected fee's.If you need any furniture dismantled, we can do on the day of the move. Fixed quotes will be given, we have removal blankets and straps to secure item's in transit. We have multiple heavy goods vehicles to suit small or large jobs, from two large lwb ford transit Luton Vans, to our large 7.5 tonne Lorry for nationwide removals. We also dispose of all unwanted household goods, and rubbish you may not want to take to your new property for an additional fee if required. 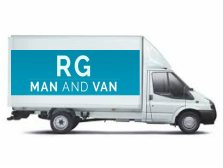 Professional and affordable House Removals service, please contact us today for a quote.